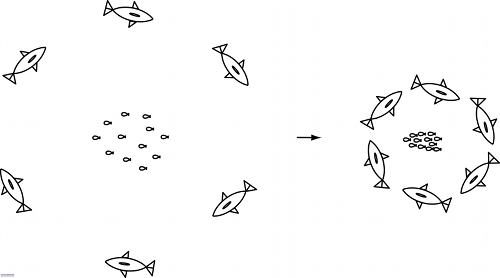 Social behavior of animals can offer solution models for missions involving a large number of heterogeneous vehicles, such as light combat ships, unmanned aerial vehicles, and unmanned underwater vehicles. 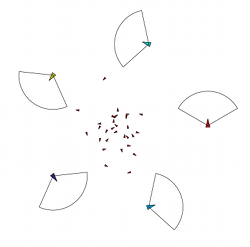 We draw inspiration from the bottlenose dolphins, Tursiops truncatus, and develop coordination algorithms for heterogeneous multi-agent systems that are expressive enough to capture biologically-complex coordinated tasks such as forming alliances, herding, and foraging. M. A. Haque, A. R. Rahmani, and M. Egerstedt. 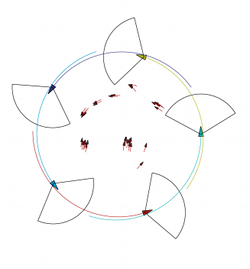 A Hybrid, Multi-Agent Model of Foraging Bottlenose Dolphins. Submitted to: Conference on Analysis and Design of Hybrid Systems, Zaragoza, Spain, September 2009. (Decision Pending). M. A. Haque and M. Egerstedt. 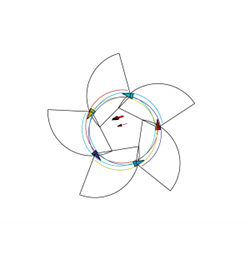 Coalition Formation in Multi-Agent Systems Based on Bottlenose Dolphin Alliances. American Control Conference, St. Louis, MO, June 2009. M. A. Haque and M. Egerstedt. 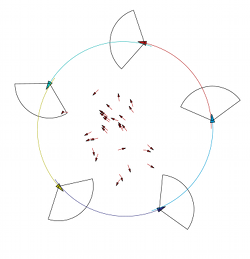 Decentralized Formation Selection Mechanisms Inspired by Foraging Bottlenose Dolphins. Mathematical Theory of Networks and Systems, Blacksburg, VA, July 2008. To appear. M. A. Haque, M. Egerstedt, and C. Martin.First-Order, Networked Control Models of Swarming Silkworm Moths.American Control Conference, Seattle, WA, June 2008. To appear.